Doc Warner’s arranges transportation for our guests between Juneau and the lodge. Most of the time we use a chartered catamaran. 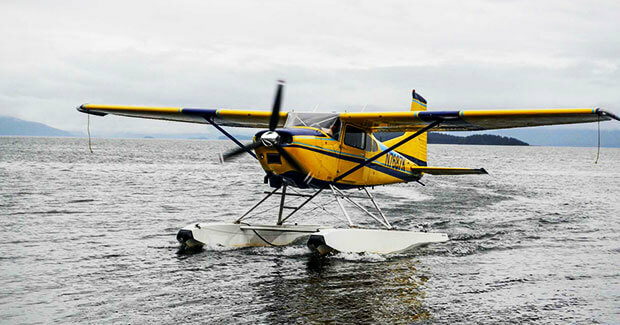 Occasionally we use wheeled or float planes, depending on the group size. Regardless of which method of transportation we use, you are in for an excitement-building journey ideal for capping off the anticipation that has been building for months. When you arrive, we’ll have a hot dinner waiting for you as you relax in the dining hall and feel the assurance of firm footing beneath your feet. 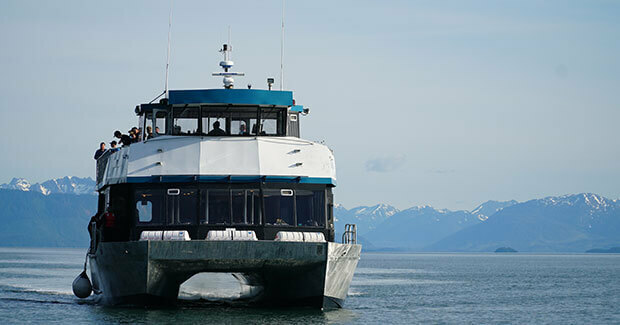 The catamaran ride is a comfortable journey through a small portion of the Inside Passage, between the islands and around the mountains that make Southeast Alaska such a pictorial paradise. The nearly 2-hour journey may make stops to observe playful humpback whales as they do full-body breaching or gather together to gorge on herring in the unique feeding frenzy called “bubble-net feeding.” Regardless of what is going on, the journey to the lodge builds on the excitement of being in Alaska and preparing for a great fishing adventure. When the airplanes are used, the journey is usually less than 30 minutes. If the weather is sunny, it is a swift and exciting journey over the Chilkat Range and a rapid descent to the waters in front of the lodge. The towering peaks of the Chilkat provide punctuation points and the flight provides a birds-eye view of the area. When clouds are prevalent, the trip will take you around the shoreline of several islands and mainland. Either way, you’ll have barely enough time to get excited before you touch down near the dock.